Super Teacher Worksheets has Father's Day poems, cards for coloring, reading comprehension passages, awards for dad, and much more. The poem pictured above (written by Lill Pluta) is one of my personal favorites. 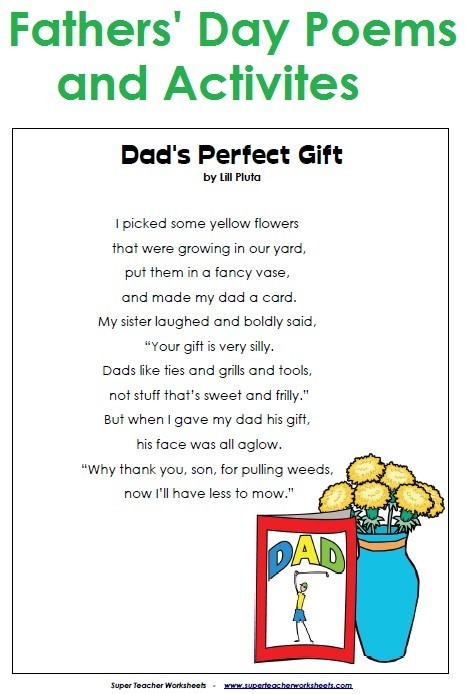 Take a look at our Father's Day Cards, Poems, and Worksheets.